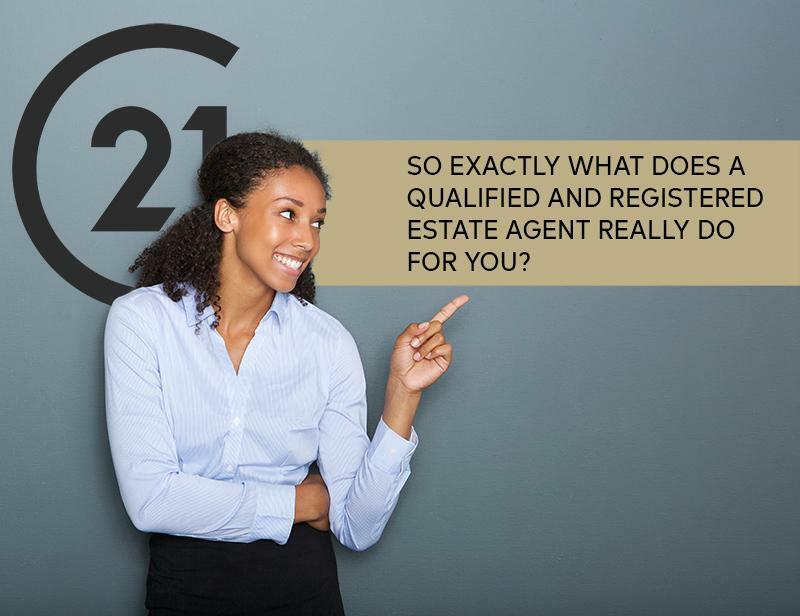 So exactly what does a Qualified and Registered Estate Agent Really do for You? Much has been said about exactly what value does an estate agent really bring to the table and do they really deserve their commission. For the purposes of this article, I will go on the premise that buyers and sellers are dealing with a registered estate agent which is not only a legal requirement, but an absolute must for buyers and sellers with respect to possible recourse, protection and compensation via the Fidelity Fund in case things go wrong in a transaction. Registered estate agents undergo vigorous and onerous training and qualification programs over multiple years and thereafter in perpetuity with the Estate Agency Affairs Board in order for them to obtain their Fidelity Fund Certificates which is basically their licence to operate. The training includes essential and critical subject matter which ultimately is for the protection of buyers and sellers and includes various statutory laws including the Consumer Protection Act, the FIC Act, The POPI Act, the EAAB Act, the Companies Act and others including Common Law and Contracts. Knowledge gained here and imparted by the registered estate agent minimises legal risk to buyers and sellers. This is over and above gaining knowledge with respect to the financial implications and requirements of buying and selling a property, the scientific method of evaluating property and issues with respect to the zoning and permitted use of land, municipal by-laws and charges, construction characteristics of the said property and various compliance and licensing requirements of the property such as Electrical, Beetle, Electric Fencing, Gas and Swimming Pool etc. certificates. Estate agents who are associated with relevant property brands are always required to be registered with the EAAB in any case and undergo further "in-house" training and enjoy the benefits of scale which allows the estate agent access to modern technology and tools and superior marketing initiatives to assist sellers in achieving the best possible price of their homes in the shortest possible time and assists buyers in their search for their dream home. These mainly come from networking and referral business from within the brand and assisted by the systems, intellectual knowledge and experience gained from a wider sales force within the branded group. These systems have been developed over many years. These estate agents have "on the ground" and "live" knowledge of what other properties are on the market for sale in the same area at that point in time. These properties are a seller's competition at that point in time and although historical sales for the area can be found on various web portals (none more so than what Digital Agencies only use) these historical sales do not include features that the property may warrant a higher valuation and price e.g. type of flooring, quality of finishes, pools, outhouses, landscaped gardens etc. What is probably the most important function of an estate agent is the fact that they "manage" a deal from the time of listing and marketing of the property right up to the transfer of the property into the buyer's name. In South Africa and if all things remain equal, this process may take up to 3 months and can involve up to 8 separate parties including bond registration and cancellation attorneys, transfer attorneys, the local municipality, SARS and the tradesman to issue compliance certificates. Importantly though, the estate agent must also manage the demands and expectations of all parties and the emotions of all parties associated with the sale and purchase of private homes over this long protracted period while at the same time, must manage specific performance dates in the terms and conditions of a deal to ensure a smooth and risk free transaction and to make it a pleasant experience for all parties involved. It is clear to see that the purchase and sale of a property is fairly complicated and occurs over a protracted period in which many unexpected issues may arise that could put the deal at risk and even a party in legal risk. So, a registered estate agent has the experience to guide the parties through the whole process and the knowledge to guide and advise all parties correctly to avoid contract breaches, liability and risk. It is also clear to see that the estate agent remains vested in the transaction over a protracted time which almost always means working all hours and days of the week and is the focal point in ensuring that a smooth transaction occurs and, with their onerous and demanding qualification criteria to remain licenced coupled with the invaluable knowledge they offer buyers and sellers, they do bring a lot to the table and it is fair for them to get remunerated with a fair and dignified benefit. Century 21 subscribes to being traditional estate agents and is a frontrunner of the tools, systems and training it offers its estate agents and with the whole group being accountable to one another, it is no wonder that the brand keeps finding favour globally and in South Africa. All these tie into our business strategy and philosophy of making the Customer Experience the single most important aspect of our offering. In closing, remember that the selling and buying of property is unlike that of purchasing a TV or microwave in an instant over the internet so sellers and buyers must be wary of the so-called Digital or Low Fixed Fee estate agencies who in the main simply guide you how to list a property on property portals which they do not even own themselves, offer you a call centre if things go wrong while expecting you to complete the whole process as discussed above yourself. This beautiful lodge is for sale at reduced price. 10 Rooms, bar, conference center.